Is The Dropcam Pro the next big thing in home security? It is always frustrating when you are away from home and you have a nagging feeling in the pit of your stomach as you wonder what is really going on whilst you are away. Wouldn’t it be handy if you had a simple plug and play ip camera that you can use for live streaming? If you don’t want to fiddle around setting up a multiple indoor/outdoor CCTV camera set up with the hassle of programming in a DVR and setting it up on a network, then I believe that this is the camera you have been waiting for, the Dropcam Pro brought to you by Nest. 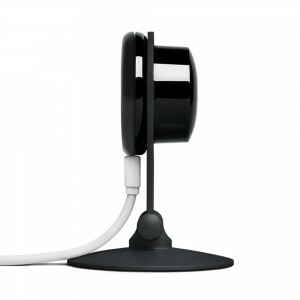 It is a Wi-Fi wireless video monitoring security camera powered by a USB cable. Google have now acquired NEST in a $555m dollar deal so the global search engine and marketing giant have the money, technology and foresight to take the Dropcam even further over the coming years. For now they have upgraded the original Dropcam version to the pro and have made improvement in the image quality (by increasing the sensor size). It is also wi-fi enabled so you can connect it to your wi-fi network, or if you prefer to use Bluetooth you can do that and easily connect it to your smart phone. Read on for the full review. 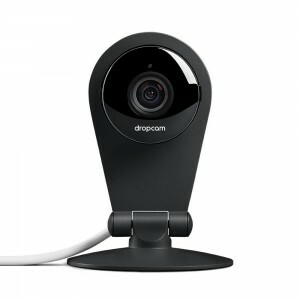 The Dropcam is a camera that works hand in hand with your Wi-Fi connection. It is easy to use, easy to set up and very easy on your pocket. The camera is sharper than your regular security video cameras that are fuzzy and make it hard to properly see what is going. Thanks to the 3 mega-pixels this new camera has, there is clarity in the videos and better imaging. It works best as an indoor camera as it is not weatherproof. With just one Dropcam in the room, it is finally possible to see an entire room, unlike the old cameras that will only see the direction it is pointed at. With 130 degrees field of view, it is now easy to view an entire room with no need of zooming out. The whole room is covered and all activity can be spotted. When wanting to focus a specific object or feature, this camera allows you to zoom in 8 times more closer to the object giving you a better view almost as if you are in the room yourself and seeing it direct. The image can be enhanced giving you a better look and not a distorted image like other cameras give you. The Dropcam is wireless and the set up made so easy that people can simply do it themselves. There is no need to have a whole technical team come into your premises to set up cameras. It is a simple job of plug in and play. There is an app that you can download to watch the live feed on your device of choice..
A schedule can be set up with this camera to switch on and off recording modes. This can be configured using any device that has the app for the camera, this can guarantee that there is a great level of protection when no one is at the business, or if at home when you leave the house empty. You can schedule continuous or time allocated recording slots. Set it up for the month whilst you are off on vacation. Everything now works with wireless connections. This handy video monitoring security camera is no different. The connection allows you to live stream video and see what is going on while you are away in real time. Apart from just viewing what is going on in the room, people can also use this camera as a communication device. It has a built in speaker and microphone, so you can speak to the person in the room or the animal (if you have a wandering pet) and they can respond to you. This camera can pick up movements and sounds going on in the specific room the camera is in. It then goes ahead and sends you an email or alert so that you are aware that something might be going on at home or at work that requires your attention. By just checking the camera, you can verify if all is well or if the police or security company need to be alerted of a problem. The Dropcam Pro can be connected to any type of device using your Wi-Fi connection. Your smartphone, computer or tablet can now easily be your link to your home as you can watch what is happening at that exact moment from any of these devices. All you have to do is link them to your camera. With most cameras if there is no light, chances are nothing is visible on the camera except basic outlines of shapes. However; this camera comes with night vision set up. So regardless of the time of day, you are guaranteed a good picture and at night all is still very visible. This camera has all these exciting features and brings about a sense of being with the times. Apart from being so easy to set up, it is also very easy to pack up and move with it. Without wires that need to be drilled into the walls this camera has an easy set up structure. It is a matter of unplugging and setting it up at the new destination. No hassles at all. As long as there is a Wi-Fi connection and a plug, the camera can be set up anywhere. The camera records and saves the footage to the cloud. This is very handy because people can go back and revisit footage. There are no issues with things like running out of space or having to change tapes and missing footage. Also the cloud is more secure so there will also be no tempering with footage. However; the downside of this which is a bone of contention for many people is that for cloud recording services you have to pay for it at $100 a year. But over a years that’s less than 10 bucks a month. But you can still stream live over your PC/smart phone and that’s what the majority of people will use this plug and play camera for. If you have your heart set on a system that records live and allows you to rewind and store footage then something with a DVR like the Funlux 720p system with hard drive offers you everything you need. 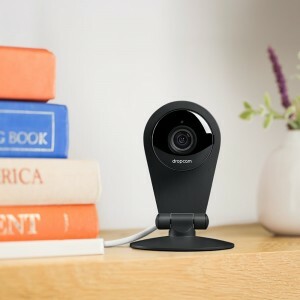 The Dropcam is user friendly even for those who are not very technologically advanced as this camera can be set up and used without any problem at all. It can be used by those who own several properties, holiday homes. Those who own valuables and want to constantly check on them, they can make good use of this gadget. The camera works well as a baby monitor, even for those parents who have separation anxiety and want to check on their babies without waking them up constantly, this is a good camera if this is you. Security is very important to everyone. This camera does not only allow security for properties but also for the safety of your family. If you do not trust your nanny this is the way to check up on what she is really doing with the children. It is also handy for those with pets who want to capture their naughty moments as well as their cute heart-warming moments when they are alone. This camera appeals to a very wide variety of people. But it is more suitable for home security and small business needs. It appeals to those who are into self-monitoring which means it does not incur monthly monitoring premiums. It is not suitable however; for large businesses or very large premises. Has Customer Experiences Been Good or Bad? This camera has a high satisfaction rate with hundreds of buyers on the web. People seem to really love the Dropcam and a verified Amazon buyer even called it a market leading product. It is easy to install and easy to use. The modern look has appealed to many and the agreement is that it is good quality making the camera durable. People have commended that the camera works well with any device and regarding the app, there have been no complaints. The one complaint that comes up apart from the cloud recording service being too expensive was that the communication system does not work well with the night vision system, I suppose this is because the communication system and night vision system on the same platform cannot cope at the same time. Nonetheless; most of the reviews are tremendously positive and many people recommend this camera.